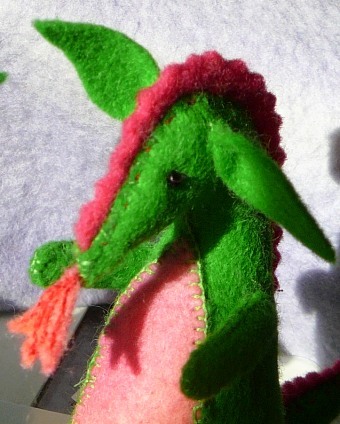 As this small dragon came into being it brought to mind various folk tales that are told by many different cultures. Some traditions would have the dragons represented as creatures of evil, abhorred and reviled, whereas others, such as ancient China and Asia, regarded them as symbols of good fortune and power to be revered and respected. Whatever the belief, it is evident that at some time in our history huge reptilian creatures inspired the myths. Looking at representations of various depictions of dragons they seem to have a crocodile like face and snake or lizard body. Some renditions are given wings, and I wonder if these versions link back to tales of giant birds or even some connection to prehistoric creatures. This connection seemed even more likely after vewing these carvings in Singapore at the remarkable Gardens by Bay. 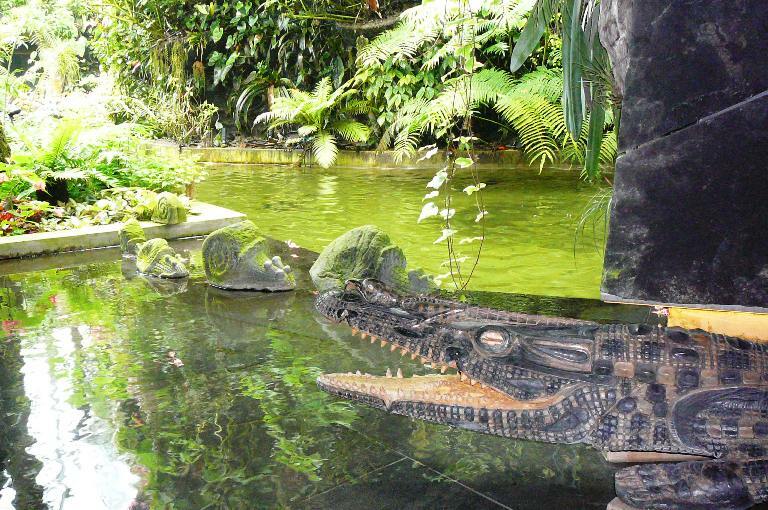 There are so many tales and so many cultures that have spoken of dragons these myths must be based on some very distant memories or inherited accounts of encounters with a large and terrifying reptile. The belief in the existence of huge serpents in the beginning of time also runs in cultures, for instance The Dreaming Tales of Australian Aborigines that speak of the Rainbow Serpent who is said to have formed our land. Huge pythons do still exist in rainforests. Some rainforest snakes might appear to fly as they glide along branches and from tree to tree. Tree snakes on our property have dropped out of branches from quite a height and then slither off, so one might think from a distance that there was a flying serpent. Over time perhaps various observations were melded, embellished and passed on over generations so that a dragon was born, somewhat like and “urban myth”which has resulted in some wonderful art and literature as well as inspiring creativity and imagination for centuries. Recently we visited the Pavilion at Brighton in the U.K, an opulent palace that featured many renditions of dragons and serpents in the Chinese inspired decor. 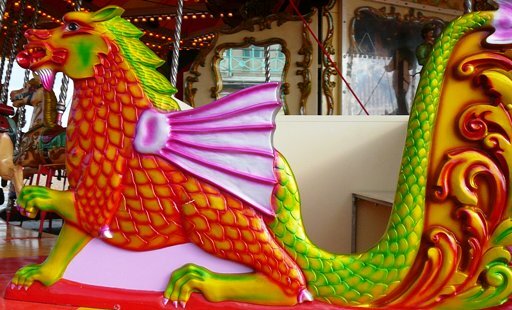 Photographs were not allowed but I did find a local Brighton dragon, painted on the carousel on the beach, that agreed to pose and as it wheeled past, giving the impression of flight. Shadow Play Tutorial: How to do Shadow Applique. I LOVE dragons!! Your little guy is so cute, and I especially love the carousel dragon! I hope you are enjoying your o/s trip and the weather is being kind to you. Such a majestic creature your dragon. I cannot imagine how seeing so many new sights is fueling your creativity, but so happy I’ll be along for ride. Continued prayers for a wondrous trip.